When the Cabazon Band of Mission Indians—a small tribe of only 25 members—first opened a high-stakes bingo parlor, the operation was shut down by the State of California as a violation of its gambling laws. 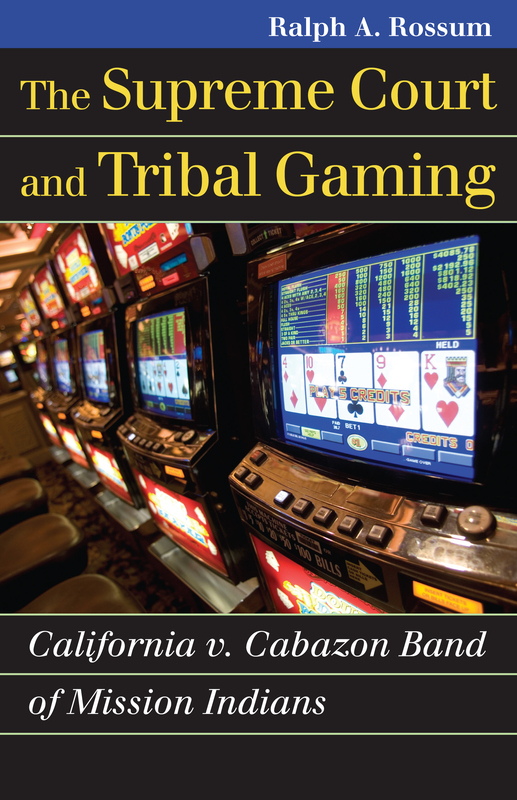 It took a Supreme Court decision to overturn the state's action, confirm the autonomy of tribes, and pave the way for other tribes to operate gaming centers throughout America. Ralph Rossum explores the origins, arguments, and impact of California v. Cabazon Band of Mission Indians, the 1987 Supreme Court decision that reasserted the unique federally supported sovereignty of Indian nations, effectively barring individual states from interfering with that sovereignty and opening the door for the explosive growth of Indian casinos over the next two decades. Rossum has crafted an evenhanded overview of the case itself-its origins, how it was argued at every level of the judicial system, and the decision's impact-as he brings to life the essential debates pitting Indian rights against the regulatory powers of the states. He also provides historical grounding for the case through a cogent analysis of previous Supreme Court decisions and legislative efforts from the late colonial period to the present, tracking the troubled course of Indian law through a terrain of abrogated treaties, unenforced court decisions, confused statutes, and harsh administrative rulings. In its decision, the Court held that states are barred from interfering with tribal gaming enterprises catering primarily to non-Indian participants and operating in Indian country. As a result of that ruling—and of Congress's subsequent passage of the Indian Gaming Regulatory Act—tribal gaming has become a multibillion dollar business encompassing 425 casinos operated by 238 tribes in 29 states. Such enormous growth has funded a renaissance of reservation self-governance and culture, once written off as permanently impoverished. As Rossum shows, Cabazon also brings together in one case a debate over the meaning of tribal sovereignty, the relationship of tribes to the federal government and the states, and the appropriateness of having distinctive canons of construction for federal Indian law. His concise and insightful study makes clear the significance of this landmark case as it attests to the sovereignty of both Native Americans and the law.